There are several options to process big data in the cloud - from Amazon Elastic MapReduce to IBM SmartCloud Enterprise, to Heroku, just to mention a few. This time I will discuss Heroku's aptitude as a platform for big data. 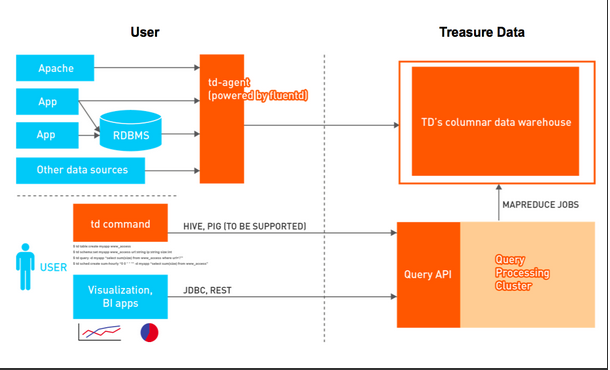 You will see how the Treasure Data Hadoop solution works on Heroku and how you can manage and analyze data with it using standard HiveQL-like queries. Heroku is a cloud platform as a service (PaaS) owned by Salesforce.com. Originally it started with supporting Ruby as its main programming language but it has been extended to Java, Scala, Node.js, Python and Clojure, too. 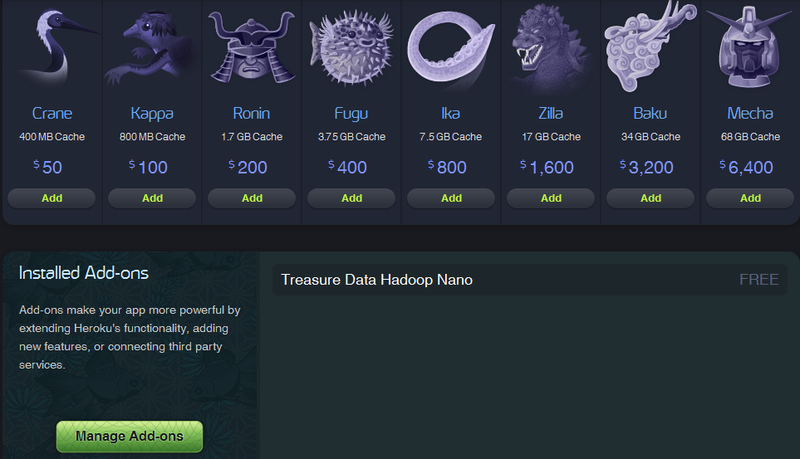 It also supports a long list of addons including NoSQL capabilities and Hadoop-based data warehouse developed by Treasure Data. Heroku toolbelt is a command line tool that consists of Heroku, foreman and git packages. As described in the Heroku toolbelt website, it is “everything you need to get started using Heroku." (Heroku CLI is based on ruby, so you need ruby under the hood, too). Once you have signed up for Heroku (you need a verified account, meaning that you provided your bank details for potential service charges) and you have installed the Heroku toolbelt, you can start right away. Use `heroku addons:docs treasure-data:nano` to view documentation. I just love the coloring scheme and the graphics used in Heroku console—it is simply brilliant. By default, Treasure Data td-agent prefers json-formatted data, though they can process various other formats (apache log, syslog, etc.) and you can write your own parser to process the uploaded data.
! DEPRECATED: Deprecated method called from /usr/local/heroku/lib/heroku/client.rb:129.
! DEPRECATED: Heroku::Client#deprecate is deprecated, please use the heroku-api gem.
! DEPRECATED: Deprecated method called from /usr/local/heroku/lib/heroku/client.rb:129.
! DEPRECATED: Deprecated method called from /home/istvan/.rvm/gems/ruby-1.9.2-p320/gems/heroku-2.30.3/lib/heroku/client.rb:129.
imported 10 entries from aapl.json. Use 'heroku td job:show 757853' to show the status.